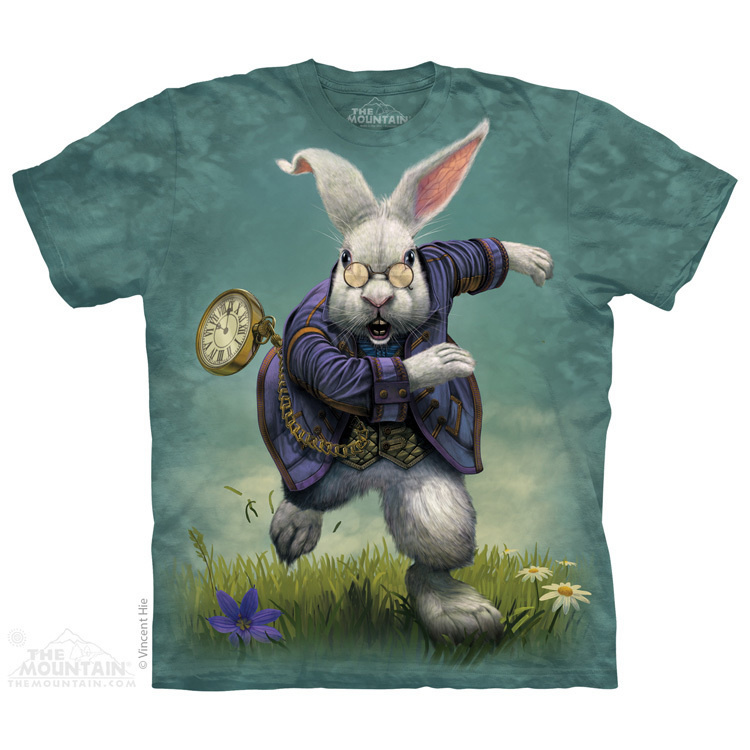 White Rabbit t-shirt from The Mountain® features the fantasy artwork of Vincent Hie. Vincent has created his version of the white rabbit from Alice in Wonderland. 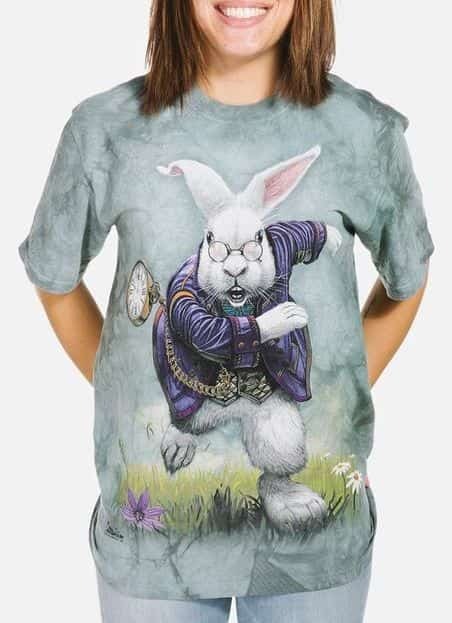 This screen printed design features the white rabbit running with his pocket watch hanging out of his purple jacket. He's obviously in a rush and not wanting to lose his head to the Queen of Hearts. Just received the White Rabbit t-shirt. Colours are absolutely fantastic and its absolutely outstanding. Delivery was fast and service superb. 10 stars minimum. I was very impressed with the delivery time and the White Rabbit T-shirt is fantastic .